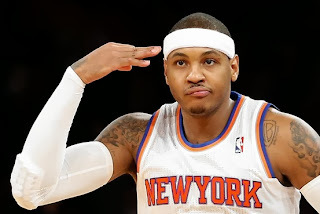 Carmelo Kyam Anthony (born May 29, 1984) nicknamed "Melo", is an American professional basketball player who plays for the New York Knicks of the National Basketball Association (NBA). After a successful high school career at Towson Catholic High School and Oak Hill Academy, Anthony attended Syracuse University for college where he led the Orangemen to their first National Championship in 2003. He earned the tournament's Most Outstanding Player award and was named the Most Valuable Player of NCAA East Regional. After one season at Syracuse University, Anthony left college to enter the 2003 NBA Draft, where he was selected as the third pick by the Nuggets. 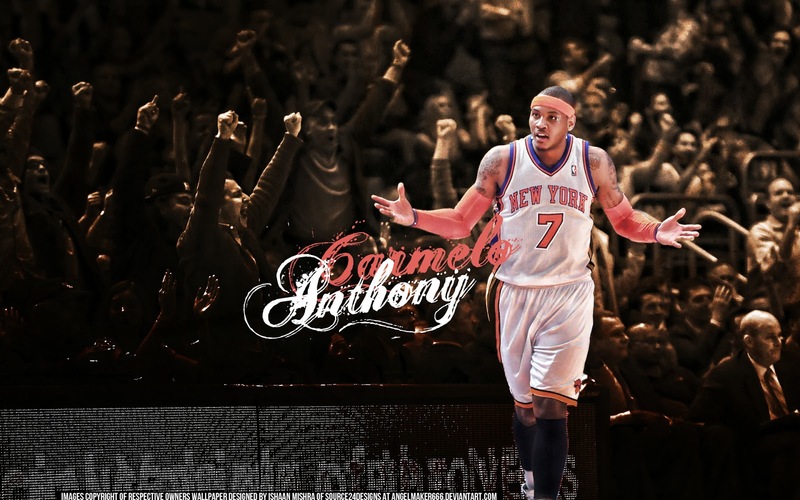 He was traded to the Knicks several days prior to the 2011 trade deadline. Since entering the NBA, Anthony has emerged as one of the most well-known and popular players in the league. 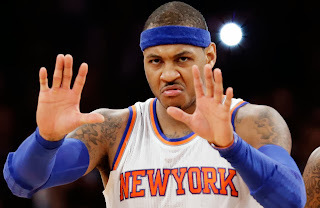 He was named to the All-Rookie team, to the All-Star team six times and to the All-NBA team six times. Anthony led the Nuggets to two division titles and to the playoffs every year from 2004 to 2010. In 2009, he helped the Nuggets advance to the Conference Finals for the first time since 1985. As a member of the USA National Team, Anthony won a bronze medal at the 2004 Olympics and gold medals at the 2008 and 2012 Olympics. 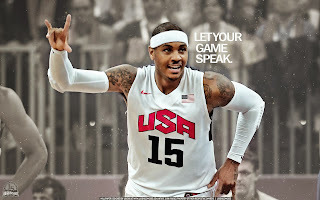 On August 2, 2012, Carmelo Anthony broke the United States men's Olympic team's record for most points in a single game when he scored 37 points against Nigeria. Anthony was one of 12 players named to the USA Basketball Men’s Junior National Team in the summer of 2002. He was a member of the bronze-medal winning Team USA at the 2002 4th Junior World Championship Qualifying Tournament held in La Asuncion, Margarita, Venezuela. He started all five contests and averaged a team-best 15.6 ppg despite playing an average of just 22.2 minutes an outing. His 6.2 rebound mark ranked second on the club behind Chris Bosh.